Shokichi Shiro is one of our new favorites. 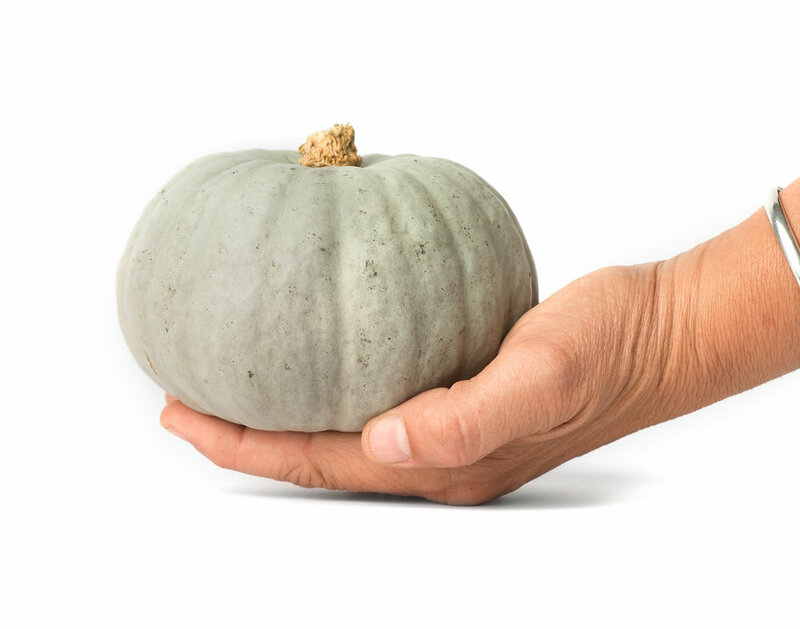 It is a gray kabocha weighing in at less than a pound that is very sweet and flavorful in a tiny package! Laura Brown bakes it (it only takes 15 minutes to bake due to its small size) and serves it up to her toddler directly out of the skin! 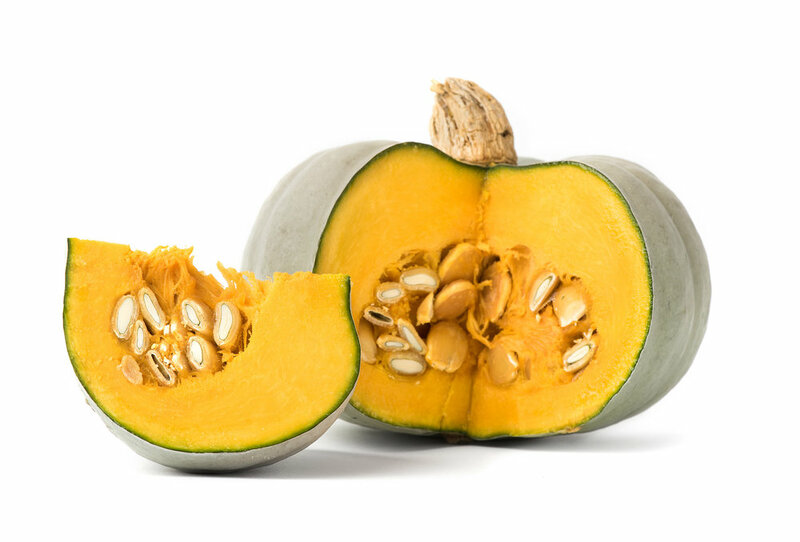 And it isn't only great for babies and children, it is an excellent simple squash side dish that is very easy and quick to prepare. Shokichi Shiro is long storing (through January) and turns color from grey to salmon pink as it ripens.